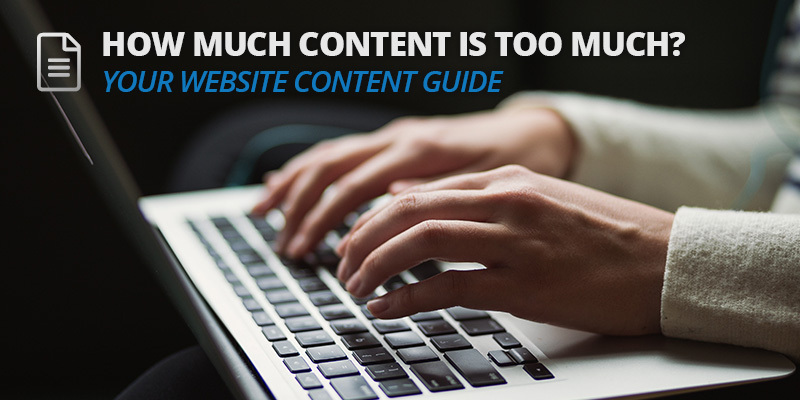 How Much Content is Too Much? Your Website Content Guide | Sharp Innovations, Inc.
It’s important to understand the factors that go into designing a web site as well as specifically tailoring each site design to the business at hand. Today, we want to dig into what really goes into designing a web site homepage, and how to determine how much content is too much content. Unfortunately for business owners, the typical Internet user has an attention span of just a few seconds per page. Unless your site is to-the-point and easy to navigate, you’ll likely lose a large chunk of users simply because they get bored. Think of your web site homepage as a magazine cover: introduce the purpose and the target audience early and often, and highlight key points in big, bold, simple headlines. Many of your site visitors will be people who heard about your business via word of mouth, but looked up your web site specifically for your contact information. Make sure your home page clearly states your company’s contact information, and ensure that each page has an obvious loop back to that contact information for an easy transition. Burying your contact information in content will drive a reader away from your site in search of a clearer, easier-to-follow design. Remembering your audience is half the battle in determining the layout and style of your web site. A web site selling crazy socks, for example, is going to have completely different language and design aspects than a web site designed for a construction company. No matter the style and design, however, the underlying principle remains the same: keep just enough content on your homepage to intrigue the reader and beckon them to read further. When it comes to web site homepages, it can be tricky to hit the perfect balance between too much and too little content. Your text should be clear and concise, outlining the main features of your business without going into too much detail. Need some help deciding how to design your site? Our team at Sharp Innovations is here to help! Give us a call at 717-290-6760 or request a free consultation. We can’t wait to get started!